Find colleges, technical schools and CDL schools in Maryland with commercial truck driver's license training programs. 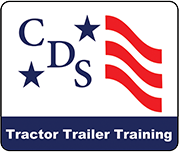 Learn about the truck driver training schools near you and get information about CDL Class A, Class B, endorsements, refresher classes and other programs. Also get info about Maryland school locations, financial aid availability, military friendly options and more.